One of the meanings of "tips" is "useful advice." 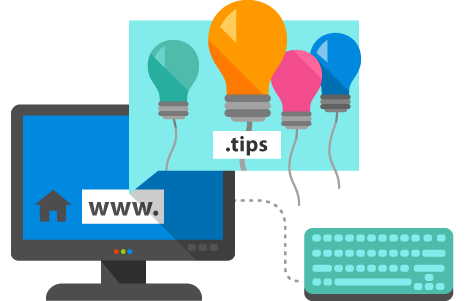 If you have a noteworthy experience and knowledge in a certain area, if you want to share useful advice with the world, if your business is about providing information and consulting in any field, or if you blog is about all kinds of advice collected from authority figures in a certain field, then .tips is the perfect domain for you. You can choose your unique online name from a great variety of available names.